We have 21 double and 4 triple rooms, next to the cellar-row. Taste our wines paired with delicious dishes! Taste the wines of our winery or take part in a wine tour! Have a look at our programme offer! Discounted package offers with dinner and winetasting! Consisting of three rows, being under monument protection, Hotel Cabernet is located at the foot of the Cellar-row of Villánykövesd with a wonderful view onto Fekete-hegy. It is an ideal starting point, not only to explore the Cellars but also the Wine Region! We await our dear Guests with 25 high-quality rooms, a cosy cellar restaurant, and a wine terrace with panoramic view. If you happen to look for both Accommodation and Experiences in Villány, or, if you would like to listen to the chirping of birds in the lap of Fekete-hegy instead of noisy groups of tourists, our hotel is a perfect choice! The Hotel itself is a part of the cellar-row of Villánykövesd, the owners of the house used to deal with grafting and wine making. We conceived a high-quality accommodation into the once ruined and tarnished mansion which provides a precious base for getting to know the wineries with a long tradition and the beautiful historic landscape in Villánykövesd, besides the services, programmes facilitating relaxation and the gastronomy based on local traditions and wine-growing culture. As the hinterland of the hotel, all the treasures of the Mokos Family Premises – fisheries, fruit gardens, riding-school – make the offers even more abundant. 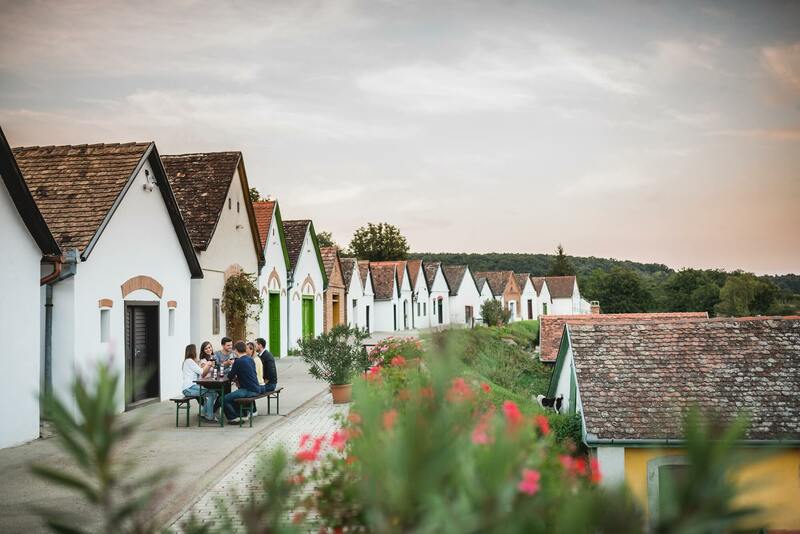 We pay tribute to the heritage of the families that once revived the Villány wine region, and we believe that traditions live on in experiences. Harvest experiences, pig killings, walking tours on Black Mountain (Fekete-hegy), cellar visits, visiting premises, wine dinners and wine tastings are organised. Dishes served in our wine restaurant are made unforgettable with juices of the 100 % fresh fruits, homemade jams, cheese and smoked products of our family farm and the wines and special fruit wines of Mokos Family Winery. We serve food specialties made from local ingredients in our rustically elegant cellar restaurant fitting into the atmosphere of the wine region, while our guests can enjoy the timeless peace and the pristine feeling of Villánykövesd, far away from the bustling of Villány.